If a person is killed because of a wrongful act or omission by another, the decedent’s heirs and beneficiaries may file a wrongful death claim to compensate for their loss. Of course, Associates and Bruce L. Scheiner, Attorneys for the Injured, know nothing will truly make up for such profound devastation. What we hope is to cushion the blow, serve as a stabilizing force for your family and help to hold responsible those whose actions caused or contributed to an unnecessary and untimely death. Historically, wrongful death laws were founded to provide financial support to widows and orphans. Over time, the statutes evolved to expand to other dependents, as well as to motivate individuals and companies to exercise great care in order to prevent future serious injuries and deaths. Wrongful death claims can run the gamut of negligence cases. Pretty much anything that can give rise to a personal injury lawsuit has the potential to give rise to a claim of wrongful death if the person directly affected dies as a proximate result of that negligence – even if the death does not occur immediately after the negligent act or omission. Product liability claims against manufacturers, distributors and/or installers of dangerous or defective products, including automobiles, toys, medicines and more. Negligence and vicarious liability claims against a driver and/or employer at fault in a motor vehicle crash. Dram shop liability against a person or business who sold, serve or gave alcohol to a minor or habitually addicted person who then causes harm to another. 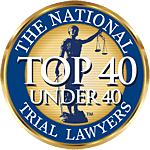 Negligence or medical malpractice claim against a long-term nursing facility that fails to provide adequate staff and/or level of care to its elderly charges. Medical malpractice claim against a doctor or other health care professional who makes a critical error, omission or oversight in the course of providing care. Premises liability claim against a property owner or manager who failed to ensure the site was in safe, well-maintained condition. It’s worth noting criminal and civil actions are wholly independent of each other. Even when the person convicted of a crime is ordered to pay restitution to survivors, this does not preclude that person or other beneficiaries from seeking recompense through civil litigation. While there are a wide range of persons and entities that may be held accountable for wrongful death, there are also a few that may be entitled to claim immunity. However, just because a defendant makes a claim for immunity doesn’t mean it can’t be successfully challenged. In the past, states used to bar family members from filing wrongful death lawsuits against one another. The purpose was to preserve the well-being of the family and also to prevent fraud where family members might conspire together to make financial gains. However, this had the latent effect of, in some cases, denying children wrongful death insurance payouts to which they were otherwise legitimately owed. For this reason, many states – including Florida – did away with the family immunity doctrine. The most commonly cited form of immunity in wrongful death claims is government immunity, also sometimes referred to as sovereign immunity. The general principle is that you cannot sue the government, its departments or its agents – without the government’s permission. F.S. 768.28 details government waivers of sovereign immunity in tort actions. In general, the law says local and state government agencies and agents in Florida can be liable for torts to the same extent as a private individual, except that liability may not include interest and is capped at $200,000 per claimant and $300,000 per occurrence. Still, there are strict statutory notice and time limit requirements when it comes to suing the government, which is why it’s imperative to consult with an experienced wrongful death lawyer. Occasionally, entities that rely heavily on government funding, such as public hospitals and universities, have raised the sovereign immunity defense. For example, the University of Central Florida was ordered to pay $10 million in a wrongful death lawsuit stemming from the death of a football player during practice. The judgment was technically against the private corporation that oversees the university’s athletic department. That argument, which sought to limit the company to a $200,000 cap reserved for government entities, was unfortunately successful. However, courts have rejected similar claims, especially considering these same entities frequently argue against their government status when it comes to things like open public records, etc. Because the requirements for filing a wrongful death claim against the government are so stringent and the lines so frequently blurred, having a well-practiced lawyer is to your advantage. Finally, another common claim of immunity comes from employers, who seek shelter behind the state’s workers’ compensation statutes. The system is designed to provide injured workers (or survivors of deceased workers) with benefits on a no-fault basis. The flip side is that it provides the employer immunity for common-law negligence lawsuits. Only under very rare circumstances can survivors proceed with general liability claims against an employer, unless, per F.S. 440.11(1)(b), the death was the result of an intentional tort on behalf of the employer. The law requires plaintiff to show employer deliberately intended to injure worker or was engaged in conduct employer knew, based on explicit warning or prior similar accident, was virtually certain to cause death to worker. In the latter case, plaintiff must show employer deliberately concealed or misrepresented the danger. There are exceptions made when employers illegally fail to secure workers’ compensation insurance for their workers. In those instances, the law allows claimants to choose their remedy. Additionally, it’s worth noting third parties, such as property owners or product manufacturers, do not enjoy the same immunity for work-related deaths, meaning they may be subject to wrongful death claims.